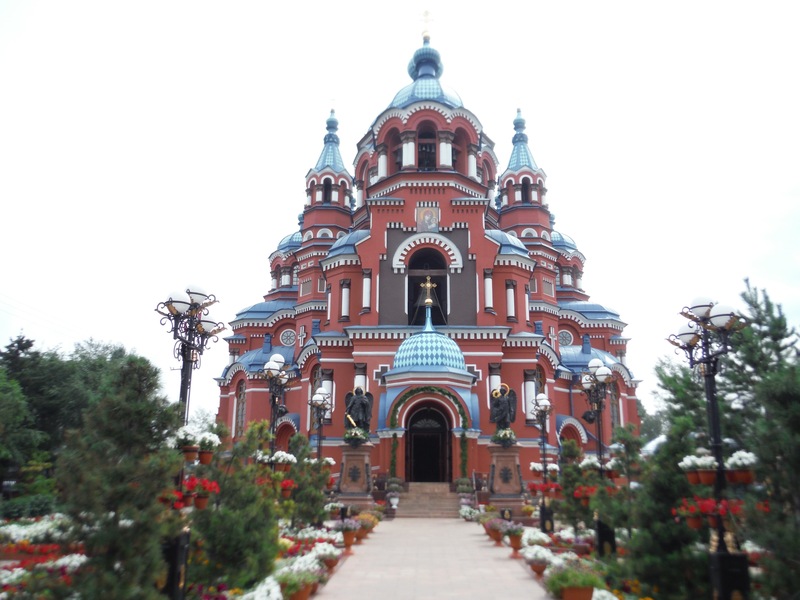 Originally we wanted to take a train from Vladivostok as it is the start or the finish of the Trans Siberian Railway. But then we thought differently of spending four days on the train and decided to fly. 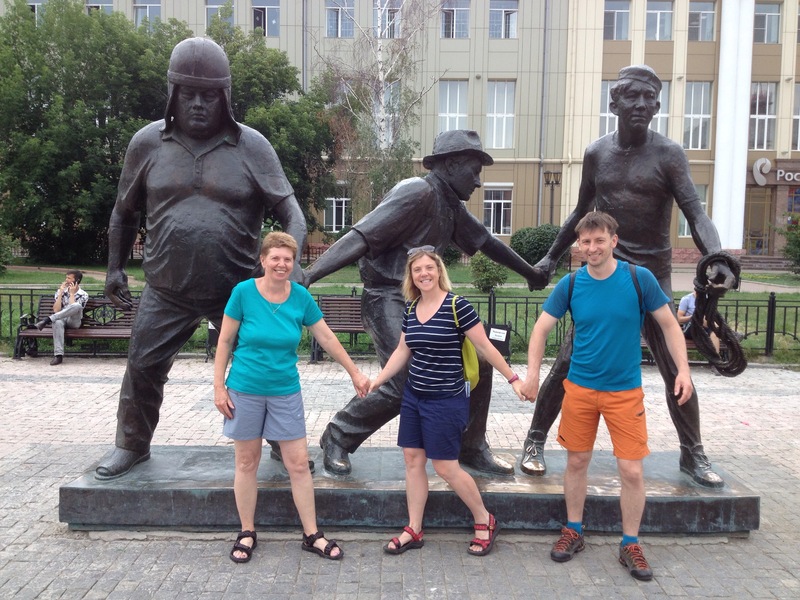 We landed in Irkutsk just before midnight, our hostel was booked, so the only thing we needed was a nice taxi. We decided to spend two nights and one day here, enough time to see it all and organise our following journey. Irkutsk was founded in 1661 on where river Irkut meets Angara. 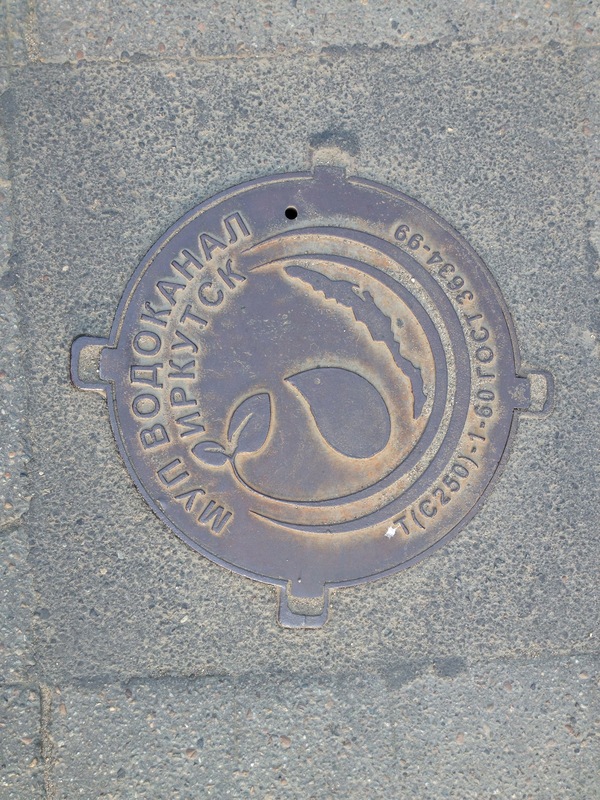 Since its first days the city had two main functions. 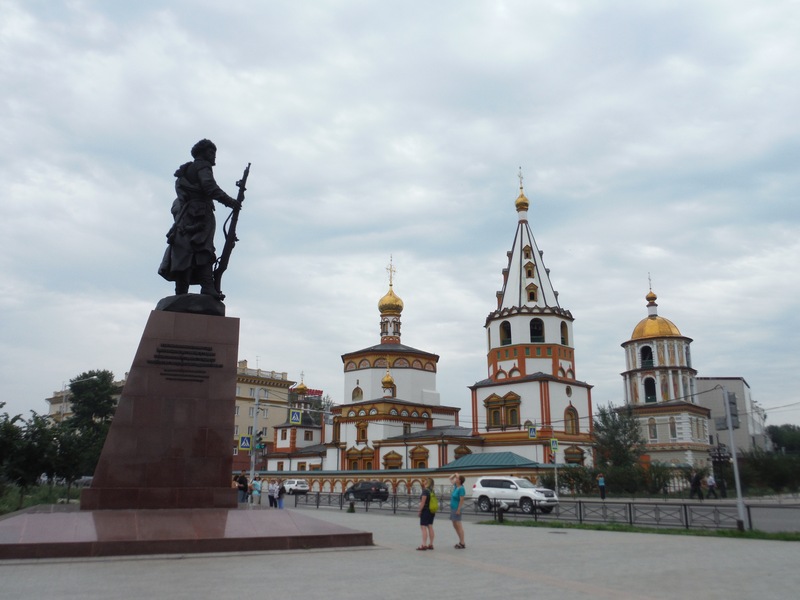 Firstly it was religious centre of Siberia, Muslim, Jewish, Roman Catholic and Orthodox churches were all placed here. Its second role was a starting place of all tsar’s and exploring expeditions to Siberia. It was also a place through which many caravans to China and Mongolia passed. In mid 18 century it had 13 churches, in the years 1945 to 1956 up to 600 000 Japanese war prisoners lived here. Our exploration was very random. 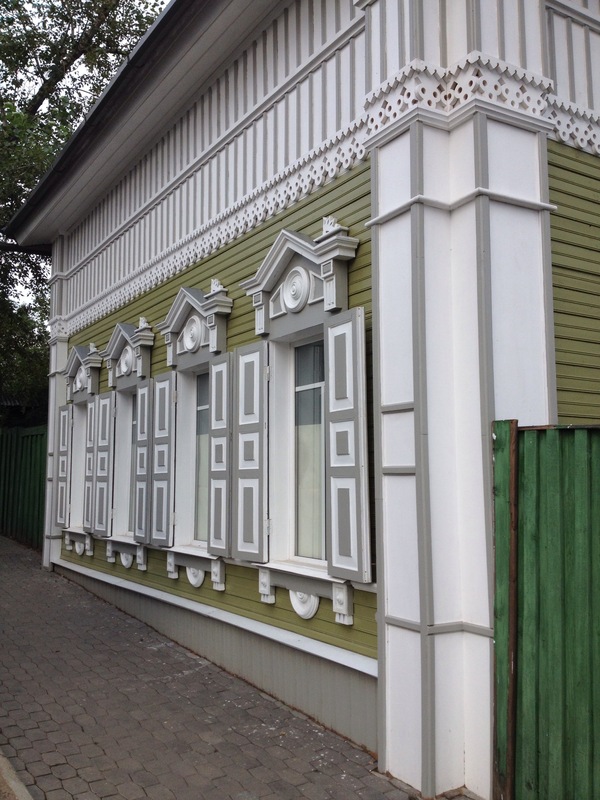 We started with a visit to local tourists centre located among beautiful historic wooden buildings. 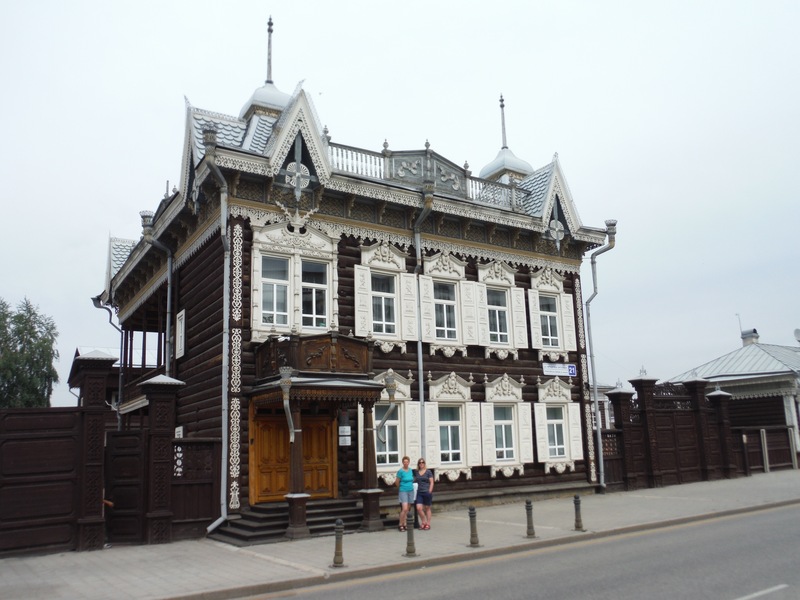 We wanted to see more, sadly Irkutsk turned out not to be a town full of picturesque wooden buildings with lace like features around window frames and under roofs. Later we found out that in July 1879 a big fire lasted three days during which 3 500 wooden buildings were burned as well as 105 brick ones. 15 000 people lost their roof. The heath was so strong that a church bell made of coper melded and dropped to ground in a heap which weighed 1000 pud (about 16 500 kg). Following this, wooden building within the town centre were banned, within two years most was rebuilt in stones. 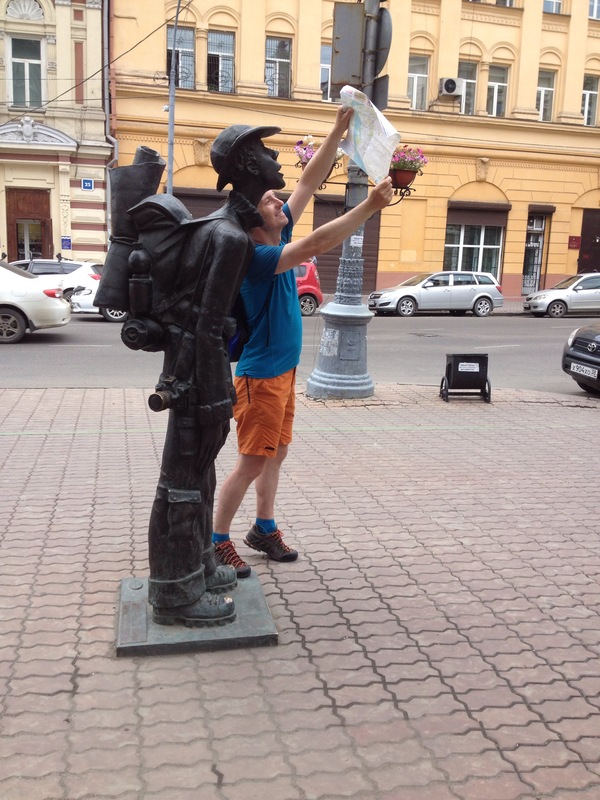 To give our exploration some direction we decided to follow a statue trail from the map. This allowed us to see an interesting mixture of architecture styles of old, new, nice, ugly, wooden and stone, embarkments, and of course, we met a tourist, too.